With a perfect blend of fun, technical ball control, agility and themed small and large-scale games, Euro Soccer USA delivers a premium soccer camp program, mixing high and low intensity activities with appropriate rest and recovery intervals for each age level, maximizing learning and enjoyment while considering the developmental level and endurance of each participant. 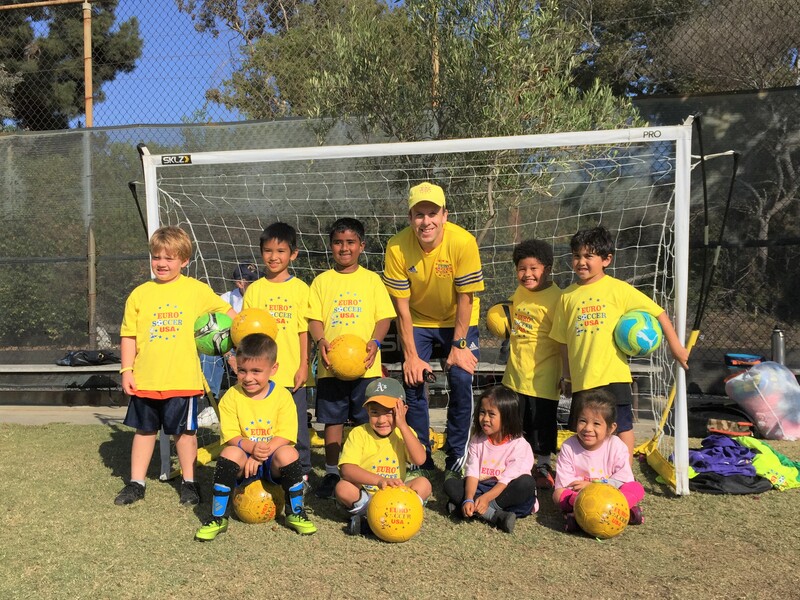 Euro Soccer USA’s professional, licensed coaches take pride in their comprehensive and flexible curriculum, tailoring the program to provide the most benefit for each unique group of children, without compromising the quality of the training. The award winning FitNut Program will continue to be part of our Euro Soccer USA Camps! 10% sibling discount available on all camps! *Additional cost associated with early morning & afternoon extended care. Please call Euro Soccer USA for more details! Free T-shirts, Medals & Certificates, Free Pictures & Videos all Included.